The dictum of scriptures underlining the link between religious festivals and environmental pollution has been ignored for several decades. The fundamental concept of the Vedic era is the concept of the panchbhootas, the five elements of nature- earth, water, air, fire and space. The panchbhootas are to be revered, not to be polluted. Upanishads and Puranas and other sacred texts underline it. Atharvaveda has warned not to dirty and add toxic substances into water bodies as it may lead to spread of diseases “he who dirties or spoils ponds, lakes, rivers, etc., or cause smell near residential areas is liable to chastisement." Yajurveda says, “Do not poison water and do not harm or cut the trees and “Do not disturb the sky and do not poison the atmosphere”. It is noteworthy that Vishnu took form of a fish in his Matsya avatar to clean the polluted sea and rivers. He took form of a swine in Varaha avatar to clean the land by eating up all the filth. It is clear that the traditions and scriptures not been understood and properly interpreted. The ongoing pollution from such festivals and related rituals is a result of failure of religious leaders. Religious leaders have made themselves busy in commercial activities instead of protection of environment, the most sacred. 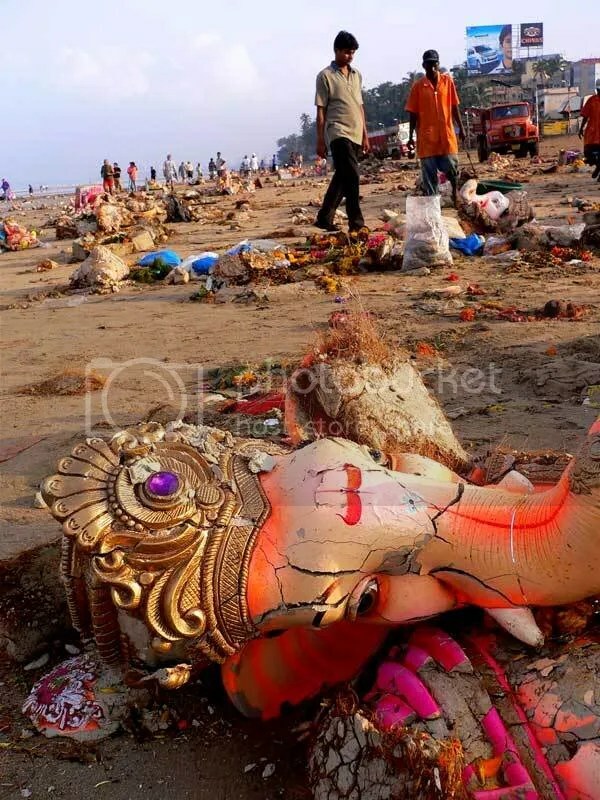 The situation is that the religious leaders fail to understand the connection between religious ritual and festivals and environmental damage. They seem to act like philistines. 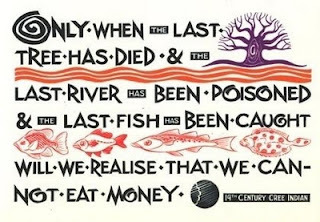 They feign ignorance about the ancestral wisdom about the sacredness of rivers, water bodies and elements of nature. The common people who are involved in religious activities in a mechanical way are in the dark about the forbidden aspects of engagement with nature and water bodies. The Hindu religious leaders appear responsible for this unethical state of affairs and environmental damages. This is true about Muslims religious leaders as well. For instance, on the day of Moharram, tazia, the replica of tomb of Husain, the grandson of Prophet Muhammed is immersed in the lakes. The religious leaders fail to communicate the need to preserve environment and water bodies. The unquestioning obedience to religious tradition has made people unscientific in approach especially in matters related to religion.